With summer quickly approaching, the one thing I’ve had my eye on that I haven’t yet purchased is a chunky gold watch. The perfect addition to any good arm party, it adds a touch of glam to an otherwise naked wrist. Pile on skinny bangles or invest in a good Chan Luu wrap bracelet to give it an earthy edge. The best part? 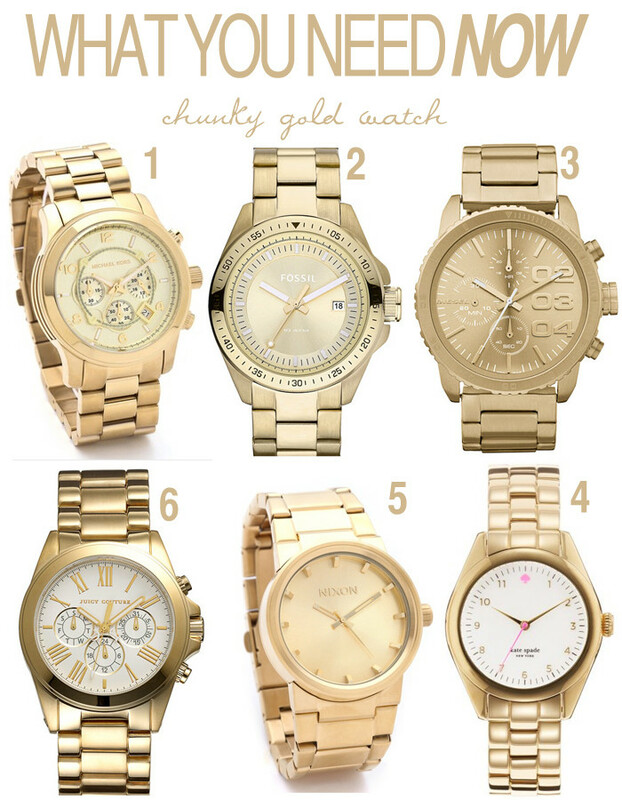 All the watches below are under $300. Would also make a great gift for Mother’s Day!